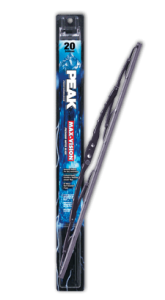 Wiper Blade Replacement – Fast Change Lube & Oil, Inc.
Windshield wiper blades are made of a soft rubber compound. Over time, the elements break down that compound and make it brittle. As this happens, your windshield wipers will leave streaks, potentially affecting your ability to see the road ahead and compromising driving safety. A free windshield wiper blade inspection is performed with every full service oil change. Utilizing advanced technology for all season performance — Profile® affordable beam blades have an infinite amount of pressure points for better blade-to-windshield contact. Designed with a low proﬁle to be more aerodynamic, beam blades prevent lift and noise for a smoother quieter wipe and, since beam blades have less moving parts and no superstructure, ice and snow can’t adhere to them. ANCO’s beam blades feature patented Articulated Contact™ Technology, which permits unrestricted flexing for more uniform pressure distribution and improved conformance to today’s curved windshields. Profile utilizes a unique connection system that offers an ultra-low-profile design that mirrors the look of original equipment beam blades.